British hot tub and wet leisure specialists will be aiming to promote their latest products and grab a share of the limelight with their European and international counterparts during Aquanale in Germany this week. A key element of the exhibition, running from tomorrow, Tuesday, November 7, to Friday November 10, will be the focus on laying down the foundation for international collaboration between global swimming pool associations; while approximately 30,000 German and international trade visitors make their way around an exhibition area covering roughly 80,000 square metres in the Koelnmess GmbH venue in Cologne to view the latest product and service offerings being showcased by hundreds of exhibitors from over 40 countries. Proclaimed as one of the world’s biggest marketplaces for the swimming pool and wellness industry; the international trade fair for sauna, pool ambience is being hosted in co-location with FSB, the International Trade Fair for Amenity Areas, Sports and Pool Facilities. Dedicated ‘Theme Worlds’ of Public Pool Facilities, Swimming Pool Technology, Private Swimming Pool Area, Sauna and Spa, and Private Spa, as well as GreenLiving have been lined up for visitors to the four-day showcases, which is open from 10am to 6pm on Tuesday, Wednesday and Thursday; and 10am to 4pm on Friday. Among the British contingent of exhibitors will be Caldera Spas hot tub supplier Certikin International who will be promoting a vast array of wet leisure products and services as part of a double stand presence on Stand H021 and Stand G020. Family-run wet leisure product specialist Golden Coast will be another representative from the thriving UK market and is occupying Stand H059 during the exhibition; while other UK-based companies seeking to gain a share of the large Aquanale audience in Hall 6 will be Elecro Engineering on Stand G037; Plastica on Stand A035; and Waterco Europe, on Stand G054. The British Swimming Pool Federation (BSPF) will also be occupying two stands on Stand E051 and Stand D050. To continue its impressive growth of dealer networks in the British and European wet leisure market manufacturer Wellis will be highlighting its flourishing Hungary-based production capabilities and quick delivery processes for its expanding range of hot tubs and swim spas as part of promotion for its ‘Made in Europe’ credentials on Stand C068 and Stand D069. USA manufacturer Marquis will be among those returning to the event for a consecutive appearance as an exhibitor and has booked a double stand presence to highlight its wide range of hot tub and swim spa products on Stand B070 and C071. 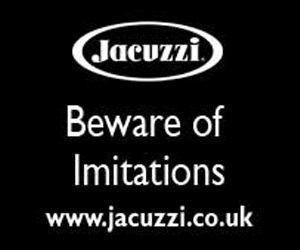 Jacuzzi is another USA manufacturer that is aiming to expand its major presence in the European market and will be showcasing its iconic brand and extensive product lines on Stand C069, while the Association of Pool and Spa Professionals (APSP) will be occupying Stand F073. Also among the USA manufacturing contingent taking double stands at the exhibition will be Master Spas on Stand B051 and Stand A050. German Federal Association for Swimming Pools & Wellness Managing Director Dieter C. Rangol reported that the exhibition will see an international collaboration between global swimming pool associations. “As Aquanale’s international reach has expanded, we want it to be a global highlight with a new dimension this time,” revealed Dieter. This year the International Swimming Pool and Wellness Forum programme’s focus during the four days will be on apprenticeships and continuing professional development, employee training, standardization and health and safety, build-operate-transfer models and thermal baths as a tool for developing tourism; as well as architecture, design and materiality. Innovative materials for swimming pool construction will be the subject of a special exhibition at the co-located trade fairs of FSB and Aquanale by the European Waterpark Association (EWA) in collaboration with Koelnmesse GmbH; while presentations of all current trends in aquafitness will be taking place daily in Hall 7. During the afternoon on Thursday the IAB will be hosting a meeting on swimming pool renovations with a presentation of examples of best practices and the state-of-the-art in technology; while the APSP will also provide an in-depth overview of the USA’s swimming pool market on November 9.